Developing tools and training nationals for emotional care and evangelism. It's hard to admit, we are celebrating more than 60 years of combined Japanese ministry. Junko is born and bred in Japan and was serving long before meeting Andy. The youngest son of missionaries to Japan, Andy couldn't resist God's call, despite vowing to never be a missionary. For more information about Dr. Andy and Junko Meeko or chat with them — Click Here. Each year in January . . .
we send a team to Guatemala to work with the "Hope of Life" mission. 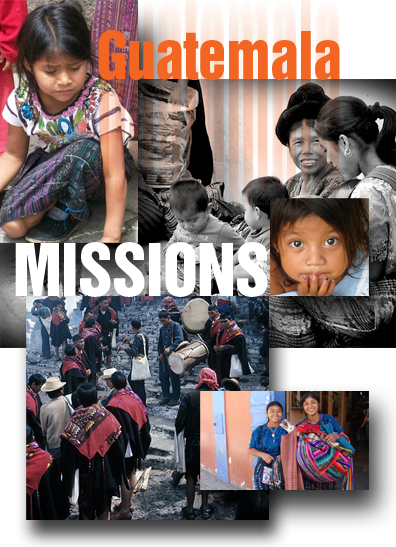 There has been Missions Trips to Guatemala from 2007 to the present time. Turning Point Church has helped in many ways. God has inspired members of Turning Point Church to be part of building, mentoring, and loving all ages of Guatemala people. 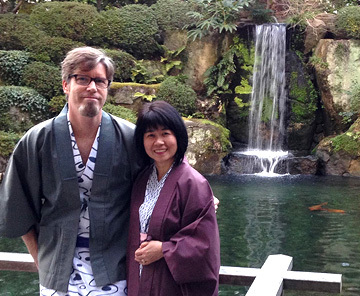 Ian Smith — beginning his work of ministry among the Japanese. On August 9th there was a multi-church Commissioning Service here at Turning Point Church of Lacey WA for Ian Smith. Many came to worship and pray before his departure. Ian has a long-term visa to live and minister in Japan! To receive his newsletter — Click Here. BLOG — Click Here. Facebook — Click Here. Turning Point Church will be helping and supporting Ian Smith. That Ian Smith will learn through his intensive Japanese language studies. Please pray that Ian would continue to look to Jesus Christ. Our world is waiting on us to share the hope and love of Jesus with them. We are passionate about God's love and power. There is an opportunity for you to share Christ's love with the people of Guatemala. We help send a team of people from Turning Point Church to share the Gospel in villages and share the Bible with children. While in Guatemala our teams prayer walk continually. • Reaching out to the world is our commission from God. Ministries to the mountains of central Guatemala. The trip is geared toward introducing our team members to the new culture by ministry and work projects. Everyday we become a part of the community, reaching to the schools, businesses, and in the homes. Helping: Our purpose is to serve the needs of families along with participating in a variety of different community projects. Being part of a Mission Team is a life-changing experience. The relationships which the Lord will create and build for you are such a blessing.